At the beginning of the 3rd millennium, I had a strange encounter with a strange instrument: the toy piano, which at first didn't attract me that much. On the contrary, I didn't properly estimate its restricted sound possibilities and regarded it quite uninteresting and boring. 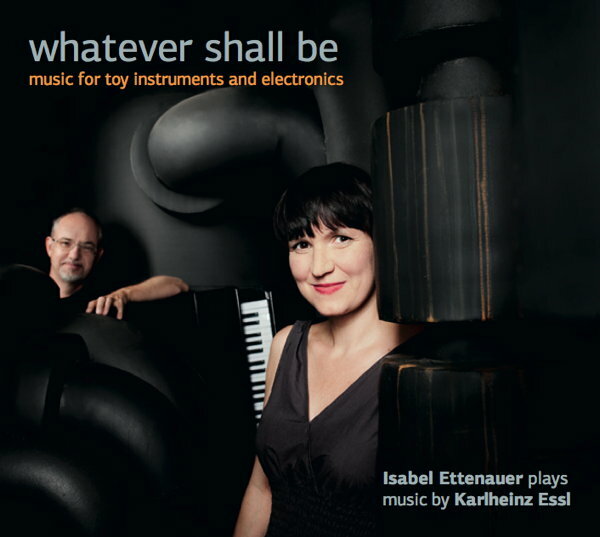 My immature prejudice changed entirely when I borrowed a toy piano from Isabel Ettenauer who was asking me since years to write a piece for her. And now, after being forced to dedicate myself to this instrument I soon understood that it has nothing to do with the piano as we know it. When I hit a key on a regular piano, I am not just hearing a note, but also the whole history of this instrument with its repertory from Bach to Boulez that the piano sound transports. This fact always makes it difficult for me to compose for piano as it always reminds me of historical music that I love - and also abhor. This didn't seem to happen to me when I was playing on the toy piano because its sound has nothing to do with a conventional piano. Instead of strings this instrument has metal rods which are hit by hammers, producing sonic qualities that rather remind me of bells or a celesta, Asian gamelan, or even an African kalimba. Kalimba in fact is the name of my first piece for toy piano and playback which was composed in 2005 for the pianist and toy piano performer Isabel Ettenauer. The primary aim of this piece is an attempt to break up the restricted sound world of the toy piano - not by superficial means of additional sound processing, but by the sound of the instrument itself. This is achieved by a pre-composed soundtrack which is played back by a small loudspeaker which is hidden inside the toy piano. This creates a perfect blend between the sounds of the instrument and the sounds from the loudspeaker. Furthermore, as the listeners won't notice any electronic devices, they might assume that all the music comes from the toy piano itself. The piece is entirely based on an eight-tone scale which alternates whole and halftone steps. It was recorded from the very instrument which Isabel uses to play in her performances. The material was processed by a computer program written in Max/MSP using a compositional algorithm that creates five canonic layers of the same soundfile which are affected by very slow glissandos. The result is stunning: starting from the original scale (which is also played synchronously on the toy piano), the sound gradually transforms itself from a rich variety of sonic transformations into a "chaotic" distribution of the 8 tones which finally fall together into chord repetitions. In the adjacent part of the piece, the glissandos are expanded to a much wider range and - by forming an ambitus of 4 octaves in the end - a proportional canon of the form 1/4 : 1/2 : 1 : 2 : 4 is created. Continuously, all layers except the (s)lowest are fading out, so that in the end only a transposition of the original recording two octaves lower (and two times slower) can be heard. This is the beginning of the "coda" of the piece, where upon the "ground" of the extremely slowed-down toy piano motif the entire piece is compressed into a few seconds. After finishing this piece I became more and more interested in scrutinizing further possibilities of this instrument. A few months later I composed WebernSpielWerk as a tombeau for Anton Webern who was accidentially shot dead by an American GI in Mittersill, Salzburg (where Webern had escaped from the Russian invasion) on September 15th, 1945. In this piece, the toy piano was utilized as a sort of carillon - a very tiny one -, and in fact the piece was modeled after the generative sound installation WebernUhrWerk which was played at the 60th anniversary of Webern's death from a loudspeaker hidden inside a roof at the market place of Mittersill. Later in the evening, a different rendering of the same concept - this time notated as a score - was performed by Isabel Ettenauer on a toy piano in the church of Mittersill; a stark contrast to the original open air sound installation, but now projected into the small and concentrated environment of a spiritual place. Sequitur is a series of compositions for various solo instruments and live-electronics which I started in 2008. Somehow it can be seen as a reference to Berio’s famous “Sequenze” cycle of solo pieces which focus on specific playing techniques of the respective instrument. Up to now I have finished more than a dozen pieces including orchestral instruments like flute and violin, but also for voice and more exotic ones such as electric guitar, toy piano and kalimba. All Sequitur composition use a software written in MaxMSP which creates an electronic accompaniment from the instrument’s live input; the player is confronted with his own playing, and this creates a situation like moving in a house of mirrors where the identities becomes blurred. Most of the pieces can be performed by the player alone who just has to press a key on the computer keyboard whenever this is indicated in the score. The software generates a complex canon on the fly, the temporal structure and density of which being controlled by random operations. This yields different results every time the piece is performed. 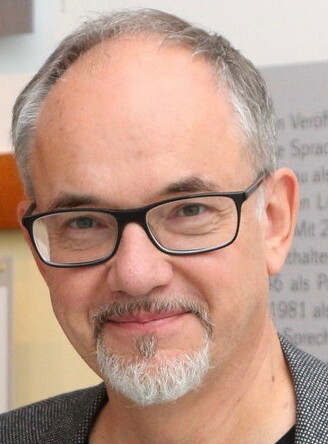 Although following a precisely notated score, there is always a good portion of surprise for the musician which emphasizes his awareness and attentiveness. Having written several pieces for the toy piano before, I dedicated Sequitur V to this interesting instrument which — in fact — has not much in common with the piano as we know it. Its sound resembles chimes or maybe parts of a gamelan orchestra and therefore is not connected to the great history of classical piano music from Bach to Stockhausen; a fact that makes this instrument more accessible for me. Although the toy piano is tiny in every respect, the sound that it produces in Sequitur V becomes incredibly rich thanks to amplification and realtime sound processing. In this piece, a sonic house-of-mirrors is created by a special computer program solely from the live input of the toy piano. Originally written for music box, the piece has four parts, and uses a custom-punched paper tape, inserted into the music box in four different orientations. The toy piano version is a transcription of the music box pieces. Each of the four pieces has a different title: "Tingle Hints", "Shingle Tint", "Lent in Sight", and "Silent Night". The titles are all anagrams of "Silent Night", and in the last movement you can hear the original Austrian Christmas carol "Silent Night" in a setting by myself. Commissioned by Phyllis Chen In whatever shall be - written for Phyllis Chen from New York in 2010 - I focussed on the "ugly" parts of the instrument which are commonly not regarded as musical: the guts apart from the keys - the body of the instrument. So I was approaching the toy piano like an innocent child who looks into the belly of the instrument and starts scratching and knocking here and there. In fact, due to the acoustic properties of the sound boards, this produces very rich and fascinating sounds. Then I mounted a contact microphone on the downside of the the sound board which was connected to a special computer program (written in MaxMSP) that I had conceived for this composition: a kind of sonic "particle accelerator" which creates a maelstrom of sounds, swirling around the audience. But there is yet another story which I have to mention in the end: When experimenting with the entrails of the toy piano, I realized that its sound board acts as a splendid amplifier for tiny sounds and noises. When putting a small music box inside, its lanky sound becomes strong and mighty, mixing nicely with the key sounds of the toy piano. That happens at the very end of the piece. And in fact everything that is heard before - rhythmical cells, melodic motives, even the harmonic structure - has derived from this little music box melody which arose from the great movie "The Man Who Knew Too Much" by Alfred Hitchcock. And the refrain of the song reads: "Que sera, sera, whatever will be, will be." In my new piece under wood which was commissioned by the Viennese ensemble "die reihe", I am confronting the toy piano with conventional instruments for the first time. It is used as an exceptional solo instrument but also as some sort of exotic percussion. For this purpose I deconstructed one of the two instruments and prepared it in order to produce a variety of interesting percussive sounds. Finally, both instruments are amplified - not only to make them louder, but also to enable the player for creating delicate noises inside the instrument. The title under wood refers to a mechanical typewriter of the same name with its characteristic hammering sound. Besides, it can also be interpreted as the attempt to look behind the surfaces and to investigate the fascinating complexity that one discovers in the woods by changing the viewing perspective from the trees down to the earth: an almost impenetrable cosmos of independent, yet secretly connected gestures and movements of little creatures which one cannot see but only hear. In Miles to go, the four players are treated as a single unit, forming a single meta-instrument. They are not merely playing different voices, but contributing to a common sound that they are creating together. The dense and fast hammering at independent tempos creates haunting phasing effects that appear as an aural rendering of the well-known visual "moiré patterns." These hectic and breathless movements evoke moments of stress and unrest but at a certain point, become transformed by the listener to the opposite: a quality of calmness. Finally, another transformation takes place when the percussive attacks are gradually replaced by soft and flowing sounds, which are achieved by stroking and scratching the soundboard with the handle of a percussion mallet. Pachinko is written for a small Michelsonne one-octave toy piano with only 13 keys. It is accompanied by a laptop computer (MacBook Pro) which runs a special software written in MaxMSP. This programme plays a toy piano part on its own, created inside the computer in real time. The performer can start and stop the generating process by pressing the space bar on the computer keyboard. For each musical phrase (which can be started or stopped at any time by the performer), a certain selection of notes is used. It is displayed in musical notation in the main window of the program. 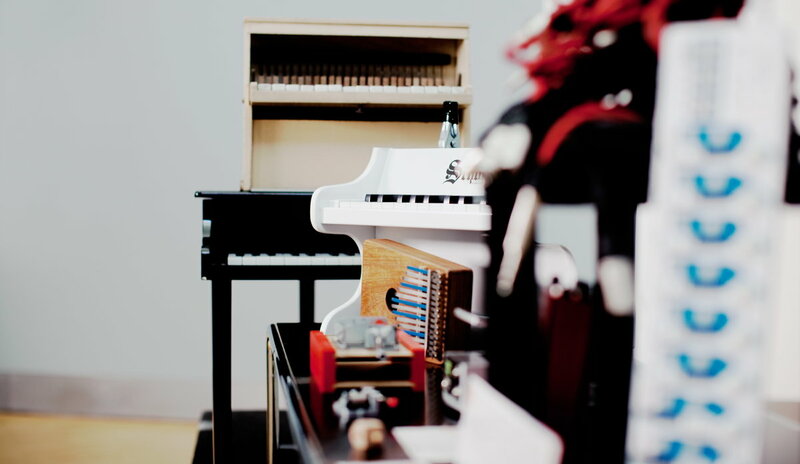 In my most recent work in this field, the toy piano is combined with a harpsichord - an instrument with a long history and an impressive repertory, as opposed to the toy piano. Although both keyboards are so different in every respect, they are forming a unit where the differences are reconciled and their individual "weakness" is counter-balanced by the other instrument. With "united forces" (so the translation of the latin title), they are creating a new entity which results in a new sound, something that has never been heard before.